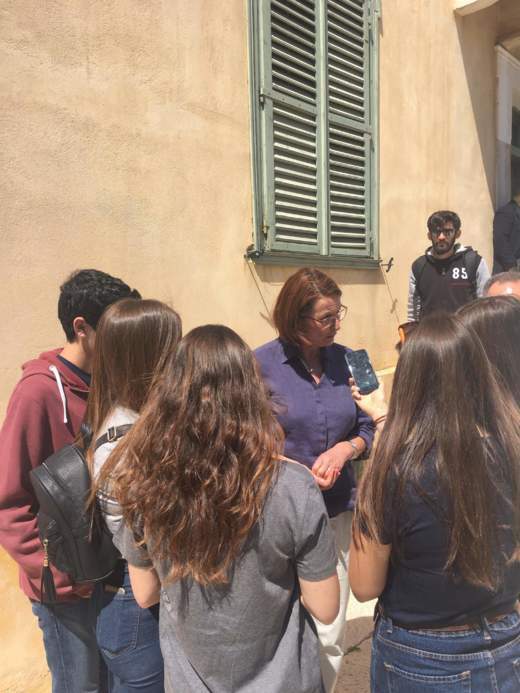 YRE Students from the High School of Doukas in Athens, took interviews from the NOs who participated in the LEAF NOM that held on April 2018 in Greece. The interviews had to do mostly with forests and their impact on climate change, how we can educate students to respect forests, how to increase green areas in cities and many other interested issues. Students from the 13th Primary School of Serres made a campaign video about forests and climate change. The film was made during the UNESCO project on climate change. During a three-day workshop in nature, they made the film” Paperland”, which shows that we do not need to take extreme measures to save the planet. Any small and individual act that we adopt in our everyday life can make a difference. This video was awarded with the 1st prize in the “video category, 11-14 years old” at the YRE International Competition 2018. Students from High School of Gavrion participated in a collective campaign action on the North beach of Ateni in Andros island, which hosts whatever sea currents bring. 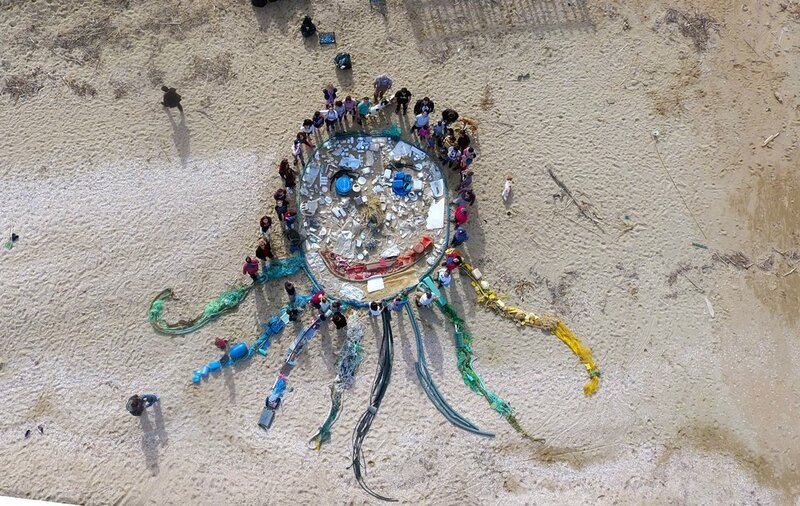 The result of the action was a ton of inappropriate materials to be collected, which, after being turned into an art masterpiece, a giant Octopus, they were appropriately disposed off. The campaign was organized and coordinated by two NGO associations “My Blue Ocean” and “Andros Routes”. The harmoniously effective cooperation among volunteers moved as a strong punch that fought the enemy, the enemy being not the rubbish but the mentality concerning it. A communal picnic wrapped the day up in glorious smiles! 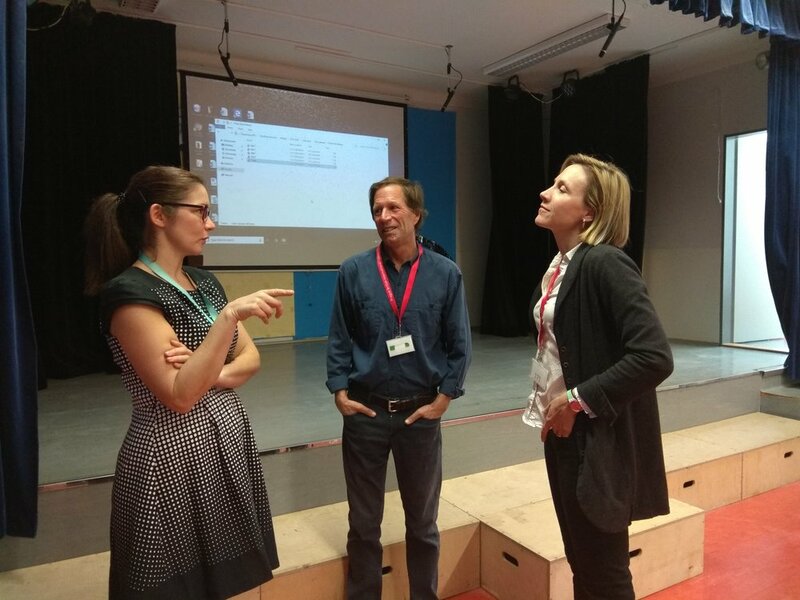 On Friday 16th November 2018, Year 5, 6 and 7 pupils (ca 80 participants) from the Prague British International School were treated to a private screening of the film 'Point of No Return' with the filmmakers Quinn Kanaly and Noel Dockstader. 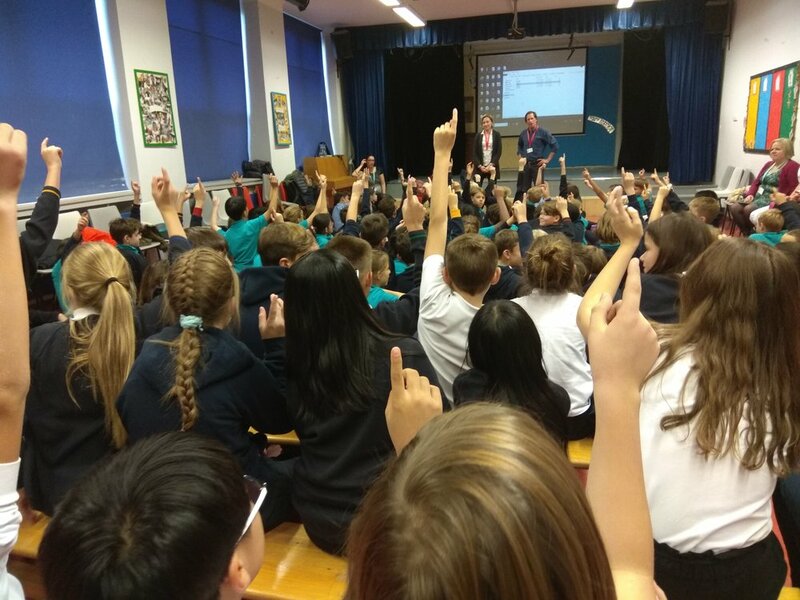 The children and staff thoroughly enjoyed the thought-provoking film which generated many interesting questions during the discussion time at the end. The theme of the film fits very well with school curriculum and increasing focus of school on sustainability. Teachers and students will be continuing to talk about the film and the issues that it raises in the upcoming months. Center of Environmental Activities (CEA) was awarded for the YRE programme and students´ involvement in reducing waste at the annual waste management competition. An Honorable Mention for the programme was received by two experienced Young Reporters; Adriana Henčeková and Matej Majerský. The award ceremony was held on November 21st in Bratislava. The competition Zlatý Mravec (Golden Ant) awards individuals and companies that have achieved significant successes or have come up with extraordinary solutions, achievements, benefits in the waste management of the Slovak Republic. The YRE Slovakia workshop, held in Trenčín October 2018, was marked by the 17 goals of AGENDA 2030. It was a great success: lots of participants, new schools, new posters and postcards with SDGs, practical photo-workshop for students in the streets of Trenčín, and finally a motivation speech inviting young people to become a driving force for a sustainable future. To help schools work better with the goals, brand new visuals have been distributed – two different posters for teachers, and a postcard for reporters. One poster (one side of the postcard) represents photographs on SDGs from the summer YRE workshop in Smižany. The second poster (back side of the postcard) shows the individual goals. In the second part of the workshop, the group split in two parts. 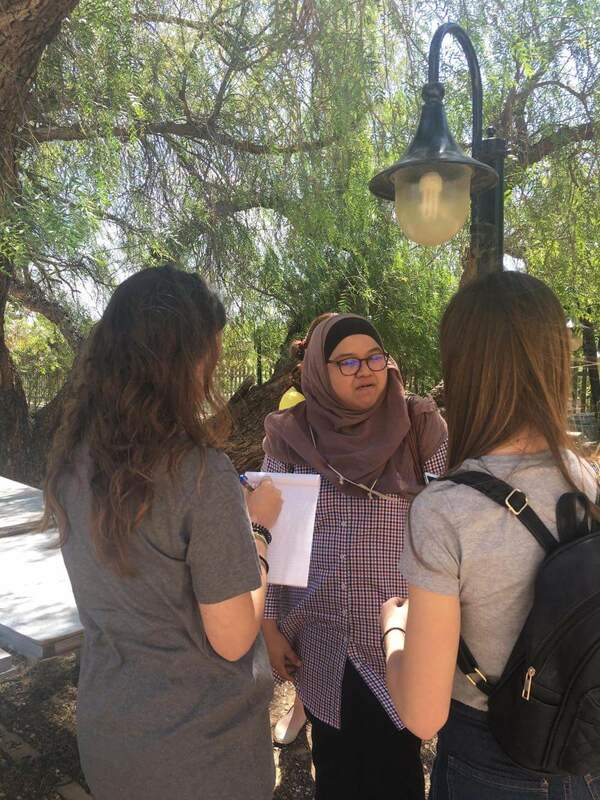 Young reporters had a practical workshop on street photography, focused on the goal 11 – Sustainable Cities and Communities. Teachers have been introduced to SDGs lesson plans elaborated by the international YRE office. In the final part of the workshop, young environmental activist Tadeáš Žďárský presented a student initiative called Sustainable Palacký. The reporters were enthusiastic to hear about the practical activities for sustainability carried out by students at the Palacký University in Olomouc. For example, the "Refill your bottle" label for shops indicating that customers are welcome to use tap water for free. Finally, we would like to thank our 19-year-old reporter, Matej Majerský, who has become a great helper in the program: he produced a short promo video about the program, created posters and cards Agenda 2030 and led a photo-workshop for reporters. Together with Adriana Henčeková, multiple winner in YRE competition, they are our ambassadors of the YRE program in Slovakia. From 7th to 9th November, YRE Ghana participated at the second pan African SDGs Youth Summit held in Accra. This year’s theme was “Moving from Policy to Action”, and convened more than 1400 participants from 46 Countries across Africa and beyond. The African continent has the youngest population in the world, and it is crucial to involve the youth to prepare for the future. The Ghanaian Government recognizes this by supporting the event. YRE Ghana are so lucky that three of our board members work for the organization arranging the summit, so we have followed the process of putting the event together up close. There is no doubt that they have also used some of their experience from YRE in communicating from the event, at least on social media, and by highlighting climate change as a topic in the program. A topic that turned out to be a major concern to majority of the participants. The focus of the African youth SDGs summit is to provide a platform where African youth, civil society, private sector and policy makers can come together to dissect issues and find the way forward in the implementation of the SDGS in Africa. It seeks to harness youth talent and groom the youth to be proactive and innovative, providing safe spaces for them to operate with regards to the SDGs Agenda. We were there with representatives from two cities. They were tasked to cover the event on social media and to take notes to submit a report that will be published in a national paper. Some of our representatives were also interviewed by the conference broadcaster and national television on their view on the SDGs, the conference and the role of the SDGs. Next year we hope to also see YRE representatives from other countries at this amazing event. And we promise to lobby hard to put even more environmental issues on the program for the next event.